It already provides for decarbonisation while contributing to economic growth in many countries proving it will continue to be a leading solution against climate change globally. Wind energy also contributes significantly in reducing energy dependence, increasing energy security and reducing fuel imports bills. The Paris agreement has marked the start of a fundamental transition in world’s economies. The power sector is the largest single contributor to global greenhouse gas emissions and swift action to fundamentally transform national energy systems and scale-up investments in renewable energy is essential in order to limit global temperature increases. COP21 produced a climate deal that was hailed as historic and ambitious. It set ambitious long-term goals to limit temperature rises, signalling an ultimate phase out of fossil fuels and giving investors a clear sign that high-carbon assets are not viable in the long run. Nonetheless, the deal must be seen as a starting point. 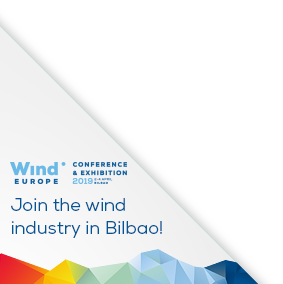 A turning point that will impact EU climate and energy policies and offers new opportunities for the wind energy industry both in and outside Europe. The key now is implementation. And this is largely up to individual countries to deliver on the national action plans (INDCs) they tabled in the run-up to Paris. Some 70 non-EU countries highlighted wind in their climate plans. The specific references to wind energy deployment clearly indicate that the market for wind energy will be growing beyond the EU. In a context of increasing global action to mitigate climate change, the EU needs to design the right policies to deepen its emissions reductions and achieve the long-term decarbonisation objectives set out in the Paris Agreement. The EU’s Emissions Trading System (ETS) has the potential to be an important piece in the energy transition puzzle. By factoring in the carbon externalities of fossil fuels, it has the ability to reflect the true cost of technologies and create a level-playing field for all energy sources. The first decade of emissions trading in the EU has provided an important lesson: the system as it currently functions is unable to form the centerpiece of Europe’s climate & energy legislation. With the persisting ineffective carbon price levels, the system will merely function as a pollution tax at best. A root and branch reform of the instrument and the creation of a trajectory towards robust and high carbon prices is required to turn the ETS into an effective instrument that supports the drive towards renewable energy generation. A well-functioning ETS would create effective transition signals that enable Europe’s power sector to phase out carbon-intensive generation capacity and move towards a power mix with larger shares of renewable energy supply.